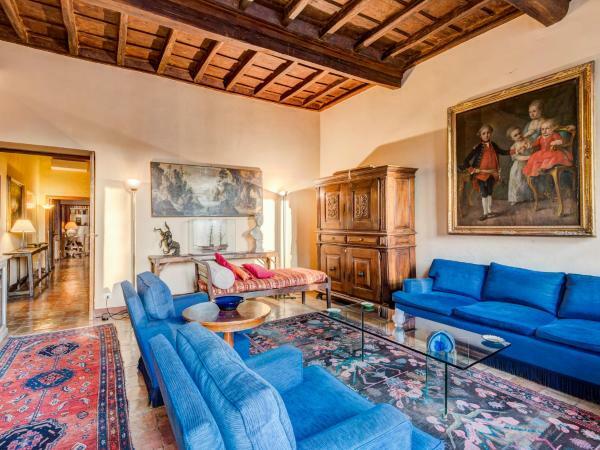 Set 300 metres from the Roman Forum, Elegant Apartment Behind the Colosseum is a 15-minute walk from the Colosseum. 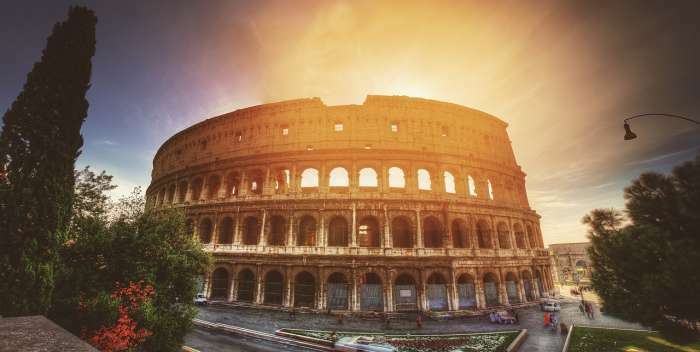 Offering free Wi-Fi, the property is 1 km from the Circo Massimo Metro stop. 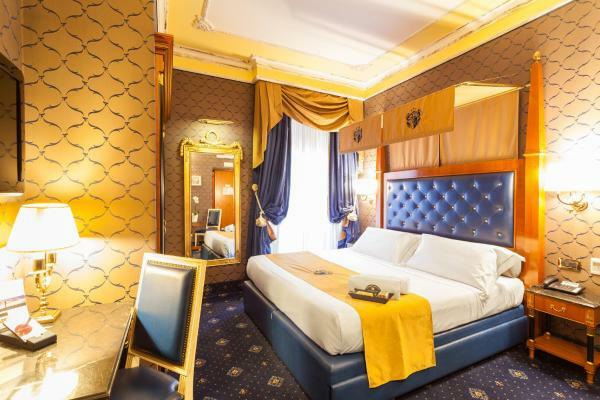 This 4-star Hotel is set in an 18th-century building opposite the Roman Forum, between the Coliseum and Piazza Venezia. The restaurant serves Roman and international specialities, and its terrace offers unique views of the Eternal City. 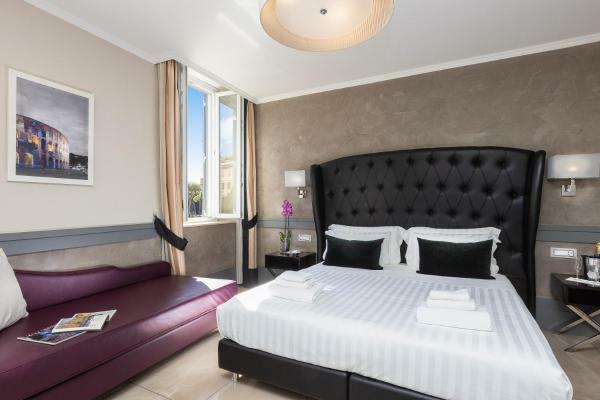 Set just next to Piazza Venezia, in the very centre of Rome, great value Hotel Piazza Venezia offers the perfect location for exploring all the city’s sights. The hotel features free Wi-Fi throughout and modern-style rooms. RSH Piazza Navona Apartments offers self-catering accommodation around one of Rome's most famous squares: Piazza Navona, one of the symbols of the Roman Baroque. The apartments of RSH Piazza Navona come with air conditioning and modern furniture. 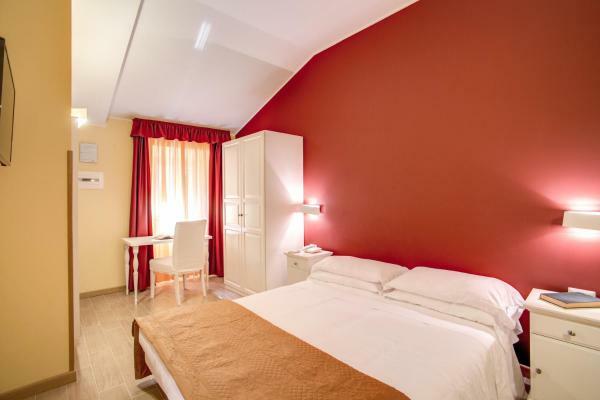 Rental Piazza Navona offers apartments in different locations of Rome's city centre. Featuring free Wi-Fi, these apartments are all within a 5-minute walk of the Pantheon and Piazza Navona square. 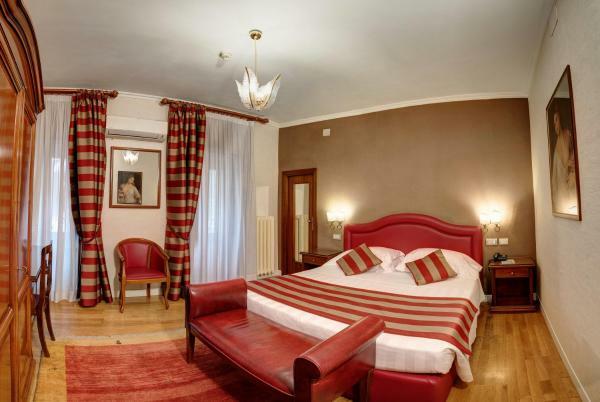 Just 300 metres from Piazza Navona square, Top Floor Navona is located in central Rome. Set on the top floor, this property offers free Wi-Fi and air-conditioned accommodation. Right in front of the Trevi Fountain, the Fontana Hotel is housed in a 17th-century building in Rome’s historical centre. Breakfast is served on the rooftop terrace overlooking the city. Wi-Fi throughout is free. Located in Rome in the Lazio region, with Trevi Fountain and Quirinale nearby, RSH Trevi Fountain Apartments offers accommodation with free Wi-Fi. Every unit features a private bathroom and bath or shower, air conditioning, a TV and a fridge. Just metres from Rome's Trevi Fountain, Romeloft Trevi Apartments offers elegant air-conditioned apartments with a kitchen or kitchenette and satellite flat-screen TV. Wi-Fi is free. Hotel Colosseum is set in a quiet street in the city centre. 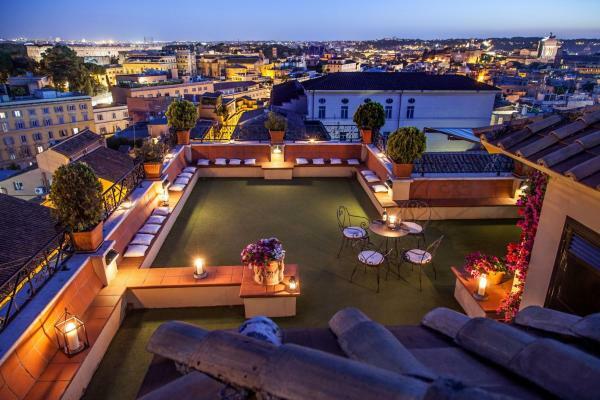 The roof terrace offers unforgettable views of ancient Rome. The Coliseum and the Santa Maria Maggiore Basilica are just a short walk away. Offering free Wi-Fi, a garden, and a roof-top sun terrace, Colosseum Historical Villa is set in Rome, 1.7 km from Termini Train and Metro Station. 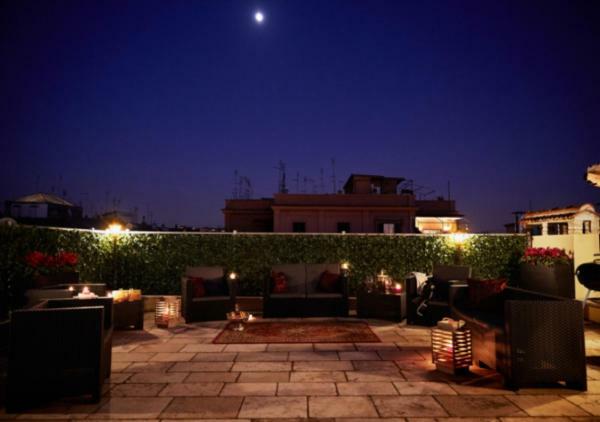 Located in a historic building, Hotel Manfredi is a boutique hotel 250 metres from the Spanish Steps and Spagna Metro Station on Rome's line A. All rooms are air conditioned and feature free Wi-Fi and a modern bathroom. 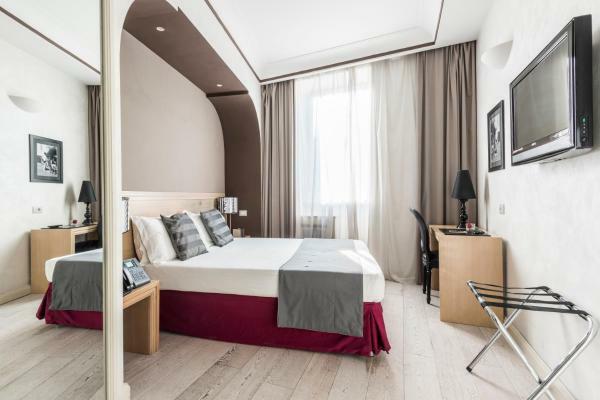 Set a 5-minute walk from the Spanish Steps, Hotel Pincio offers elegant and modern rooms with air conditioning. The Trevi Fountain is 500 metres away. As its name suggests, Hotel Piazza Di Spagna is just around the corner from the Spanish Steps, set on a charming street and surrounded by the biggest names in fashion. Set on the right bank of Rome's Tiber River, Hotel Sant'Angelo is set in a historic building, just 1 km from the Spanish Steps. It offers free Wi-Fi and en suite rooms.